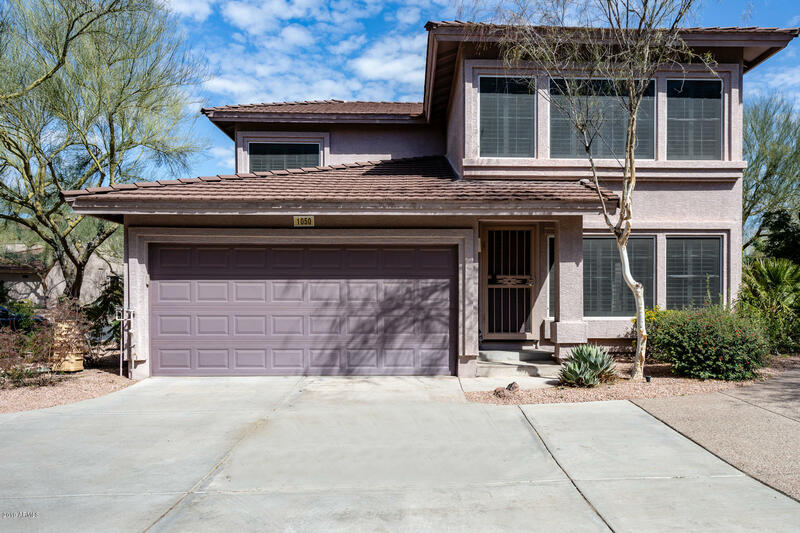 All VILLAGE AT SONORAN HILLS homes currently listed for sale in Scottsdale as of 04/23/2019 are shown below. You can change the search criteria at any time by pressing the 'Change Search' button below. "WOW!!! HERE IS A GREAT REMODELED HOME IN A GATED COMMUNITY IN NORTH SCOTTSDALE ON A CORNER LOT ACROSS FROM THE HEATED POOL & SPA. THIS 2 BEDROOM 2 BATH HOME HAS RECENTLY BEEN UPDATED. ALL NEW FLOORING THROUGHOUT, NEW UPDATED SHOWER AND CABINETS IN UPSTAIRS MASTER, LIGHTING, PAINTING, AND MUCH MORE. MURPHY BED UPSTAIRS IN THE LOFT AND SHUTTERS ON EVERY WINDOW. THIS HOME HAS A PRIVATE BACKYARD AND GREAT VIEWS. CLOSE TO SHOPPING, GOLFING, FREEWAYS, SCHOOLS, ETC. COME BY AND SEE YOUR NEW HOM"